My father's Birthday was yesterday, Sept 15. He is a father of 5 with 6 grandchildren! He loves babies and little children so with a 3 month old and 2 five year old's among the 6 he is pretty happy right now. The other 3 are mine, ages 10, 14 and 16 and they love their Papa very much. I made this card for him using lots of Tim Hotz Distress Inks and an older "Close to My Heart" Stamp set that I was given a few years ago. I used VersaFine in Olympic Green for the trees in the background and the onyx black for the fishermen. The Fishies were stamped with VersaFine in Vintage Sepia. My Dad enjoys Camping and has been an avid Fisherman all his life. 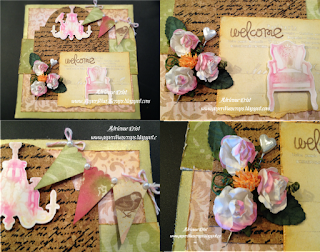 Great projects, love the use of the flags on the second project for 365 Cards, thanks for joining us. 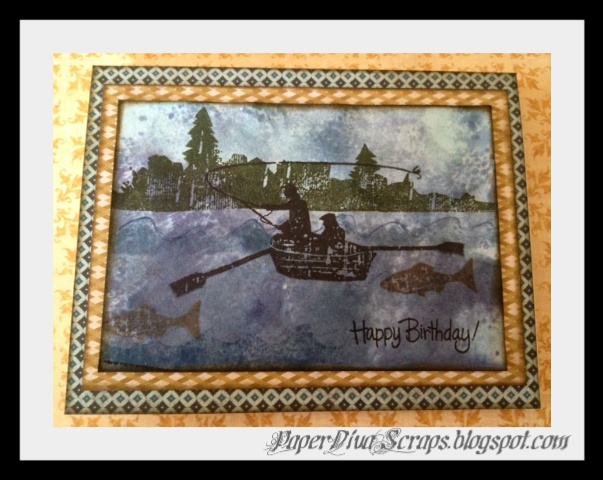 Love the silhouette stamps & your card is just fantastic! 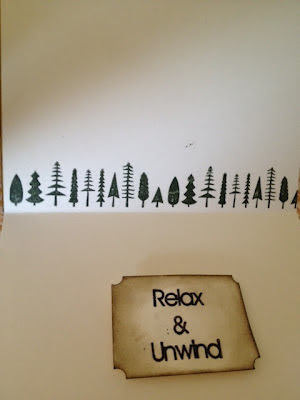 Thanks for playing along with us at Perfect Sentiments! Love your stamped scene. Thanks for playing along in our masculine challenge at the perfect sentiment. Great project. I like those stamps and are so cute. Also love the CAS style designs like Clear Cards. Thanks for sharing. Two CAS Cards - Now That's a Challenge!